If you are a working woman and plan to work through your pregnancy, a new study could perhaps be of significance for you. Working beyond the 8th month of pregnancy could have harmful impacts on the unborn baby. 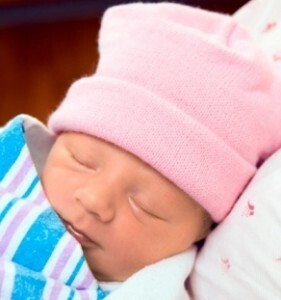 A recent study found that such babies could be born with a lower birth weight. The University of Essex looked at British and American surveys. They arrived at the conclusion that when it comes to low birth weight, working beyond the 8th month of pregnancy could be as harmful as smoking. In recent times women have continued to work longer into their pregnancy than before. In fact a growing number of women work right up till their due date. Now however we are being told that this could have certain negative consequences for the child. It is possible that the stress and strain as well as fatigue that working women have to endure during the end stages of a pregnancy could be greater than that endured by women who are not working. This stress and fatigue could impact the nutritional environment of the baby in the womb. In particular the babies of older women were seen to be impacted by their mothers working late into pregnancy. Younger women of 24 and below and their babies seemed not to be affected by this. 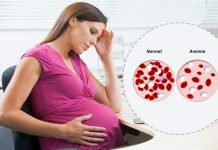 This is the first time there has been such a finding against women working during pregnancy and researchers are ‘surprised’ at this finding. As we known low birth weight is a predictor for several health issues and other problems later in life. Does this mean that women should stop working as soon as they are past a certain fixed point in their pregnancy? Many experts believe that this may not be necessary. 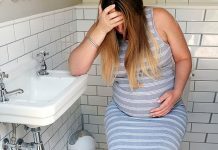 After all stay at home pregnant women who look after their children and the home could have as much stress and fatigue as working women. In fact one could well argue that it could be even more tiring and stressful for a stay at home mom looking after toddlers or even older children. The important thing is to listen to your own body. If you find that being at work is too much to cope with, you should stop working. Also listen to what your attending physician or midwife has to say and then make your decision. Previous articleHow to Use Acupuncture for Fertility?